If you love to take on videogame challenges with your friends, Warhammer: Vermintide 2 will give you something meaty to sink your teeth into. Meaty, hairy, bloody, and a little bit gross. But, still, meaty. If you never played the first game, imagine Left 4 Dead with a focus on melee combat: you and three friends fight your way across maps in the Warhammer world, battling rat men called Skaven, as well as fearsome Chaos warriors as you go. You can take on various different roles. If you want to be a devastating spellcaster, you can. If you would rather get in close, you can specialise and become a battle mage. There’s a standard warrior class, burly tanks, nippy assassins, pinpoint archers, and more. In Vermintide 2, you can play your own way. Each of the classes compliments another, too, so you can create a deadly team with varied skills and carve your way through this world as an elite unit. A team of Skaven are running at you in a tight corridor? Get your dwarf to block the path with his shield as you fire spells, arrows, and bullets into the swarm. Out in the open? Team up to take care of the biggest enemy there and then cut down the remaining grunts. Whatever it is you are doing, team play is a must. Vermintide 2 introduces Chaos, a new faction of evil enemies to battle. You will fight swollen monstrosities, armoured giants, and powerful magicians as well as the various incarnations of Skaven’s terrible rat army. The Chaos tribe has teamed up with the Skaven to quicken the demise of humanity, elves, and dwarves. It is up to you and your party to stop these otherworldly foes from taking over. Vermintide 2 also takes us to a new locale: Helmgart. This huge fort will be the centrepiece of your adventures, but you will also fight across sun dappled forests and around the outskirts of the fort itself. Expect more variety than the arterial alleyways of the first Vermintide game. 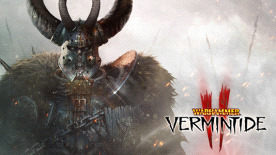 As well as giving us more options to expand and specialise our characters with Careers and more weapon choices, Vermintide 2 also introduces a new system called Heroic Deeds. Heroic Deeds allow you to take on variants of existing missions but with more difficult parameters. One example would see you returning to a battlefield, only this time it is full of mini bosses and no grunts. If your team can survive these battles, you will walk away with even more impressive spoils thanks to Vermintide 2’s revamped loot system. Once you have bled Vermintide 2 dry, developer Fatshark has also promised the game will have extensive mod support. Pick it up at Green Man Gaming for PC and you will be able to tweak your game until your heart's content. No doubt we will see new factions, new character skins, and even new locations pop up on community forums as a result of this support. Vermintide 2 PC launches on March 8.